There are many paths to becoming a teacher, but for Natalia V. Cuadra-Saez ’11, it started with a passion for advocacy. Cuadra-Saez got involved in advocacy as a student at the University to Maryland and hasn’t stopped advocating for teaching and learning conditions since. “My passion was always about elevating student voice, even as I was a student myself,” says Cuadra-Saez. 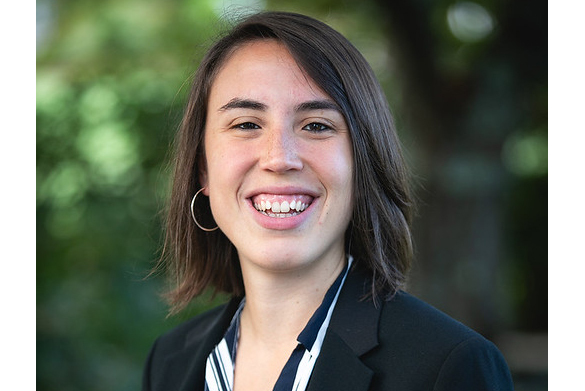 She participated in the Student Government Association, served as president of both the Cooperative Housing at University of Maryland (CHUM) and Students for Justice in Palestine, and even won a race for SGA legislator as part of the Student Power Party. And though Cuadra-Saez didn’t study education at Maryland, she knew she wanted to pursue it as a career. After graduating, Cuadra-Saez got her master’s in education at Harvard University and started teaching at Boston Public Schools. She taught middle school social studies and, later, high school U.S. history. She received a 2018 Boston Public Schools Educator of the Year Award for her work inspiring and empowering students. She says she was surprised to win the award after just four years of teaching and wishes “there were more opportunities to recognize all the great work happening in Boston Public Schools” by her colleagues. Currently, Cuadra-Saez serves as the internal organizer for the Boston Teachers Union. While she says she misses working directly students, she is doing exactly what she hopes to inspire students to do—advocating for what she believes in. “I tell my students that when they turn 18, if they vote in every election or they get involved in some way, then I will be a proud teacher,” Cuadra-Saez says.